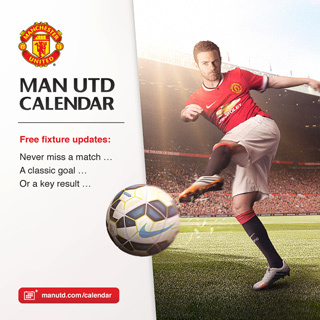 The 2017/18 season has just ended, under regulations set by Manchester United, we are required to hold an annual general meeting, during which the entire committee, including all incumbent members wishing to continue to serve in the committee, must be re-elected. The MUSCHK committee is made up by a maximum of 12 persons. Following past practice, any International Members wishing to participate in the committee election for the next season (including existing committee who wants to enter election) must receive at least 3 nominations from International Members, of which at least one must be a current committee member. Each International Member can nominate a maximum of 3 candidates for the election. International Members wishing to stand in the election must complete the below nomination form and submit to us on or before 28 June 2018. Should there be no more than 12 qualified candidates, no election will take place and all candidates will be considered elected automatically. Should the number of qualified candidates exceed 12, a ballot will be held by International Members in the upcoming annual general meeting on 30 June 2018, and the 12 candidates receiving the highest number of votes will be elected. 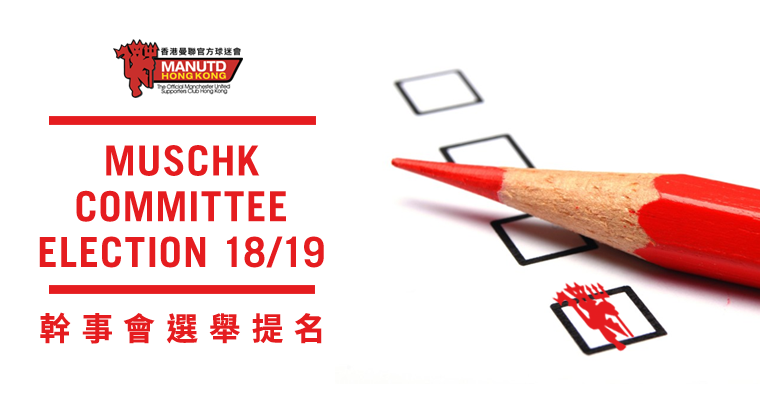 Should you have any inquiries on the committee election or nomination, please feel free to contact the committee members by email at official@musc.org.hk. (1)	An adult member who has held continuous international membership for 120 days prior to the election day. (2)	Member elected as Executive Committee Member must be the UK Official Manchester United Member or Season Ticket Holder in season 2018/19. 2. A separate nomination form must be used for each candidate. 3. A candidate should check the eligibility of the nominators. If for any reason a nominator is found to be ineligible, his name will be disregarded.